This was my second 3-D item entry. It is a "message center", with a write-on/wipe-off area, a magnet area, a corkboard area, and a post-it note area. Click on any picture to enlarge it...and sorry in advance for some fuzziness on the pictures, I was in a bit of a rush to get my entries sent off to meet the deadline, so I didn't check to make sure I had every shot clear. The "white erase board" area is basically a trimmed down 6x6 page protector. This is a great trick for making alphabet practice pages for kids, by the way, using our ABC sets from the catalog. The background piece of this message center is a white painted metal sign I found at the craft store. It was just begging to be covered with Spring Break Designer Series Paper (DSP). I set aside an area at the top right for magnets, and made my magnets using Build-A-Brads, with the "legs" snipped off, and glued round magnets to the back with Crystal Effects. I used the Stamp-a-ma-jig to line up the letters in the title "MESSAGE CENTER". The post-it note area is pretty self-explanatory. The corkboard was cut down from a larger square, and I added Blue Bayou Double Stitched Grosgrain, and some flowers I snipped from other sheets of the DSP. To make the tacks, I once again used Build-A-Brads, but this time crimped the legs in toward each other and left them straight, to stick into the corkboard! Well, today's Artisan Award Entry isn't good for much but bragging rights...because it was all custom made. It is one of my two 3-D entries--a little mock filing cabinet, with three drawers, labeled to store Bows, Brads, and Buttons. At first glance it may not look like much, but it was quite the reconstructive effort! I started with a plain brown box, took it apart at the seam, and cut three holes in the front, where drawers would be placed. I decided that, since the front would need some detailed attention to cut and cover with Porcelain Prints Designer Series Paper (DSP), I'd better do that while the box was lying open--and that turned out to be a good decision! Before I closed the box up, I found some scrap chipboard from 6x6 page protector packages, cut them to size, and scored little flaps on two sides of those, then placed them inside the box like shelves. I also used a Zig metallic paint pen in gold, to go around all the edges, so I would not have to make the DSP meet so exactly. I closed the box and sealed it back up with lots of Sticky Strip. Each of the drawers rests on one of the shelves for support. Considering this was a one-time custom job, I was very proud that all my cutting and measuring and gluing pieces together worked out so well the first time around. Each of the drawers is made of card stock, and they really pull out. They also each have a drawer stop at the back, to keep them from pulling all the way out and falling out. I had to come up with custom measurements to make the "box" base for the drawers, but all the drawer fronts were the same size. The ribbon is Blue Bayou Double Stitched Grosgrain, with the side stitching pulled out. (I thought the white added too much bright contrast, and I didn't want that) The ribbon was attached first to each drawer front, with an eyelet. You can't see the eyelet because the drawer label was placed over it on each drawer. I decorated the rest of the box with coordinating Designer Series Paper, punched from the 5-Petal, and Boho Blossoms punches. I really did feel like an artisan making this piece, almost as if I'd carved a sculpture and created a finished piece from a block of raw material. The focus of the pages is my cats, who are both mostly black, so I decided to pull that color into the title. I wanted black, shiny letters, which turned out to be quite labor intensive. I used the Jumbo Outline Alphabet stamp set and stamped each letter in Craft white ink, then poured white embossing powder over that and heated it to set it. After that, I cut out each individual letter with Paper Snips. There was no apostrophe, so I created that by freehand, using a white gel pen to make the shape. Once all the letters were cut out, I applied Crystal Effects to the front of every letter and let it dry. I had already matted my photos and chosen the background paper, and put them where I thought I wanted them with Dotto® temporary adhesive. So, I laid the letters in where I thought they looked good, and adhered them with Mini Glue Dots®. The background of this page is Creamy Caramel Textured card stock with Creamy Caramel ink used to apply the Meow Stampin' Around® wheel image. The background papers are from the Jersey Shore Designer Series Paper assortment. I added kitty cat details throughout the page, using the Here Kitty, Kitty set, stamped in Black StazOn ink, on Confetti white card stock, then colored with Blender Pens and Stampin' Pastels®. To finish off the page, I created a couple of envelopes using the Mini Envelope Template, and used the Round Tab punch and some coordinating card stock to make some journaling pullouts. And finally, I added a couple of photo corners with the Photo Corner punch, set a few more stamped images on the photo corners, and placed some Word Window punched tabs on the left side for balance. I liked the contrast and colors on this page, best of the three pages I submitted. The most time-consuming and "artistic" part of this page was the detail along the bottom. I tried to replicate the rock wall in the Great Divide picture. I cut out individual freehand rock shapes and sponged them with a variety of colors to get a textured look. I then placed them on a grey background, to simulate concrete between them. This picture looks better up close, just click on it to see the larger version. Probably the next challenging piece was replicating the brass rail. Sorry the picture below didn't turn out that well, but I took Gold card stock and sponged it with Really Rust ink, then covered it with Glassy Glaze. When it was dry, I put some subtle creases in it with a bone folder, to help it look aged. Then I added some Vintage Brads to simulate the rivets. At the top right, I used the word 'summer' from the Perfect Day rub-ons, and the Simple Serif Mini Alphabet set to stamp the year (in Craft Black ink). I layered that and placed it on the page with Stampin' Dimensionals. The 'perfect day for family' rub-on from the Perfect Day package seemed so (should I say it?) PERFECT for this page, running right along the mountaintops in the background. I did have to rub off some of the words individually to get them at the right angles, but it was worth it. I think that really completed the theme of the page. And finally, the journaling pictured below was added, to finish the page by telling the story behind the pictures. I again used the Write Me a Memory Vol II Font CD, which I also used for some photo captions on this same page. I did add a stretch of Whisper White card stock along the center of the page, with the top torn off and lightly sponged grey. This was to tie in the picture of the snow covered meadow, with the rest of the page. Of all the entries I submitted, this is the one I wish I could have back, to put in my own scrapbook. I don't know that I'll ever take the time and go to all the effort it took to create it in the first place, but I really want a copy of this page to keep! This page was created on Old Olive 12x12 Textured card stock, then strips of Bashful Blue Textured card stock were added, with the word 'sweet' (from the Sweet Shapes stamp set) stamped in Bashful Blue ink on the strip. The flower from the same stamp set was stamped between each word, and a center dot was placed in each flower with the white gel pen. Strips of Summer Picnic Designer Series paper were used to fill out the red background, and for the journaling rectangle. An oval frame from the Styled Silver Hodgepodge Hardware Kit was attached with some Old Olive brads, and Bashful Blue striped grosgrain was used to finish off the background. Each cherry "medallion" pictured above was created by first stamping the cherries from the Tart & Tangy stamp set in Old Olive ink, then stamping them again in Real Red ink. The Old Olive images were then punched out with a 1-1/4" circle, and layered onto a 1-3/8" circle punched piece of Bashful Blue card stock. Each of the red cherries was then cut out individually, and adhered over the Old Olive cherries with Stampin' Dimensionals®. The starburst backing to each medallion was created with the Scallop Circle punch. First punch one Scallop Circle out, then adhere it to a piece of scratch paper, line up the points of each scallop in the center of the punched scallops, and punch again. (watch for a punching tutorial later) A white squiggle border from the Perfect Day rub-ons set was laid down before the medallions were placed. The journaling was printed on Summer Picnic Designer Series Paper, using the Write Me a Memory Vol. II Font CD. Of course, the jackpot theme of the journaling was tied into the page with the three cherries in a row going across the top of the journaling block--the 3 cherry bunches were meant to suggest a winning image from a slot machine. My daughter's name was created using Perfect Day rub-ons, but there's only one of each letter of the alphabet included, so I had to manually create the larger 'L' at the beginning of the name. I used the Word Window punch and punched two pieces, then trimmed and fit them together, and used that as a template to cut out an 'L' from a single piece of card stock. To finish it and make it coordinate, I drew a white outline on the letter with a white gel pen. I spent a lot more time on my Artisan Award entries than most of the projects I've ever stamped. Please keep that in mind as I post the rest of my entires, and know that this much detail is NOT necessary to make a great scrapbook page or card. In case you haven't guessed from the rest of my blog, I'm very much an instant gratification stamper, so spending an entire week (plus) putting together my 10 entry pieces for this contest was quite out of the ordinary for me! COME TO CONVENTION WITH ME!! 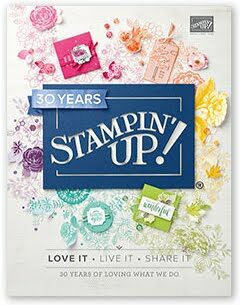 This year at Convention, from July 30th through August 2nd, Stampin' Up!® will celebrate its 20th Anniversary! In the past, only Demonstrators and their spouses have been eligible to attend Convention, but this year you can join the party as my GUEST. Or, enjoy additional savings, and get lots of stampin' stuff to stock your cupboards, by joining my team of Demonstrators and attending Convention as a member of my downline! Check out the following information to see if this opportunity is right for you: What to Expect at Convention, General Information, General Agenda, Class Descriptions, and Class Track Schedules. Guest Registration is $400, and can be mailed or faxed into the company, using this Guest Registration Form. You will receive an email confirmation once your registration is processed. To ensure you are linked as my Guest in the registration process, please enter my name (Kimberley Morris) on the registration form as your Demonstrator, and my Demonstrator Number, which is 1496. I am registered on Track 1, and will be staying at the Plaza Hotel in Salt Lake City, but please email me once your registration is confirmed so we can make plans to meet up. Stampin' Up!® is still accepting Demonstrator registrations until June 18th, as space allows, and the fee is only $280 for a Demonstrator to register. If you LOVE Stampin' Up!® and want to join the party, and stay involved after the party's over (even just to get a 20% discount on your own purchases), you may want to consider becoming a Demonstrator to register for Convention. Your Starter Kit is only $159 through May 31st, and you get a FREE Hodgepodge Hardware Kit with that. I am also offering a personal special to anyone who joins my team this month: pick any stamp set from the Occasions Collection Mini Catalog for FREE when you sign up online (see details HERE). So, as a Demonstrator you would save $120 on Convention Registration, PLUS getting a $40 discount on your Starter Kit, and up to $62.90 in FREE merchandise--that's more than a $200 value! Whether you are a Demonstrator, or just a Guest who loves Stampin' Up!®, there is something at Convention for everyone to enjoy. You can network with other stamping enthusiasts (okay, stampaholics, LOL), swap cards and/or other stamped items (scrapbook pages, artistic trading cards, handmade pins, WOW cards), be the first to see the new catalog premiere (and get your own free wire-bound copy), learn tons of mind-numbing stamping tips and techniques, do Make & Take projects with brand new products...oh and holy cow, I totally forgot to mention you get FREE, BRAND NEW STAMP SETS AT CONVENTION!!! ...or about to BE moved, anyway. My stamping area has taken up tables along the sides of 3 walls in our Master Bedroom for quite some time now. The photo above is a picture of one corner. All my stamp stuff used to be in the basement, but between my son and Blake's two boys, we needed the space for beds. Well, now that Blake's boys have created enough disturbance that they aren't coming over anymore, we've moved the beds back out. Our office will be going back downstairs, just in time for me to stay cool while I'm stamping this summer--yippee!!! Right now, most of my stamp stuff is still upstairs, but all my letter sized card stock is already downstairs. Yes, I can definitely use the exercise, but going up and down two sets of stairs each time I want different colored paper is not fun. How spoiled am I? Anyway, I haven't been creating a whole lot of new stuff lately, due to the disarray. But I did find a bunch of pictures of scrapbook pages I made from a Simply Scrappin' Kit last year. The kit was called Just Delightful, and it had a coordinating stamp set called Delight in Life. In honor of May being National Scrapbooking Month, I'll get those posted here. Even though the kit and stamp set are no longer available, hopefully this will give you some inspiration. The templates I used to create these pages are available HERE. These are the instructions for the class I had on April 24th. My class attendees always get a copy of the instructions, so they can recreate the projects again at their leisure, and I have decided to make them available for sale to those who may not want to, or cannot, attend a class, or who may like to use this idea to teach their own class. Included are all the instructions to make the box, cards (8 total--two of each design shown above), and matching envelopes (8). A Master Supply List is included, as well as cutting instructions and paper sizes. Each item has its own page of instructions with sample pictures, so that you can teach a class and set up stations for each item, stocked with its own supplies and directions. NOTE: There are no electronic publication or dissemination rights granted with these instructions. All copies made for training or teaching purposes must be hard copy, on paper only. You may only receive a copy of the electronic copy through me. UPDATE: THIS CLASS OUTLINE IS NOW AVAILABLE FOR FREE HERE. See a variation on the original cards HERE. ...to tell me that any guy would not absolutely LOVE to get either of these stamptacular creations for Father's Day! It just so happens, I'm holding a Father's Day Class on Thursday, MAY 22nd from 6-9pm at my house in Colorado Springs. We'll be making the tie box (which is big enough to hold a gift card or other small present), the shirt card, and another item which is not displayed above--a chipboard coaster folding frame! The cost of the class is $15.00, and registration/payment is due no later than May 12th. Space is limited and first come, first served, so email me asap. During the month of May, Workshop Hostesses will be able to use their free hostess dollars to purchase chipboard products at 25% off with no additional purchase necessary! See this post for full details on Hostess and Customer 25% On Board Chipboard Discounts, and how Customers can get a FREE Hobby Blade with the purchase of a Cutting Mat! I have to say that chipboard is not usually the first medium I reach for, but I wanted to share the above project that I did at the 2007 Stampin' Up! Convention. Here is the pattern for the box, and the original instruction sheet. Holy Tool-edo, Stampin' Up!® is offering yet another awesome recruiting special--become a Stampin' Up!® Demonstrator during the month of May and get 20% OFF THE STARTER KIT, plus a FREE HODGEPODGE HARDWARE KIT (choose Antique Brass, Pewter, or Aged Copper finish)! The free tin of Hodgepodge Hardware (p. 188) from the Spring-Summer Collection 2008 Catalog is a $27.95 value!. * The Starter Kit (p. 209) comes complete with all the tools you'll need to start a successful business--$359 worth of stamping and business supplies for only $159! Construct your kit by selecting the nuts and bolts of your stamping supplies, and take your toolbox to the next level! Joining my team is of Demonstrators is super simple, just click HERE to go to my business website, then click on the link that says "Join Stampin' Up!". Scroll down the right side of the page and click on the "Click to enroll" link. Enter my Recruiting Authorization password: newdemonstrator and then click to accept the Terms. Fill in the required information, then click on Edit to customize your Starter Kit. (if you choose not to do this, you will get the default stamping supply choices in your kit, and Antique Brass finish for your Hodgepodge Hardware kit) If you have any questions, please click here to email me or call me at 719-205-5957 and I will gladly help you. There is no obligation--questions are free, so don't be too shy to ask me about it! *Hodgepodge Hardware in Occasions Mini Collection 2008 is not included in this promotion.